Moulin Rouge is best known as the birthplace of the modern form of the can-can dance. Originally introduced as a seductive dance by the courtesans who operated from the site, the can-can dance revue evolved into a form of entertainment of its own and led to the introduction of cabarets across Europe. The Belle Époque was a period of peace and optimism marked by industrial progress, and a particularly rich cultural exuberance was about at the opening of the Moulin Rouge. The Expositions Universelles of 1889 and 1900 are symbols of this period. The Eiffel Tower was also constructed in 1889, epitomising the spirit of progress along with the culturally transgressive cabaret. 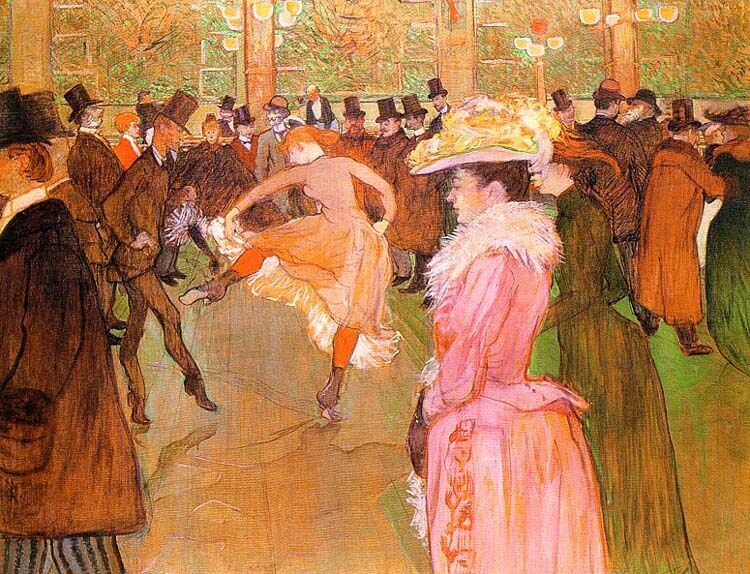 Japonism, an artistic movement inspired by the Orient, with Henri de Toulouse-Lautrec as its most brilliant disciple, was also at its height. Montmartre, which, at the heart of an increasingly vast and impersonal Paris, retained a bucolic village atmosphere; festivities and artists mixed, with pleasure and beauty as their values. 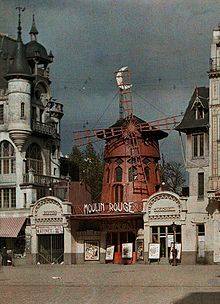 On 6 October 1889, the Moulin Rouge opened in the Jardin de Paris, at the foot of the Montmartre hill. Its creator Joseph Ollerand his Manager Charles Zidler were formidable businessmen who understood the public’s tastes. The aim was to allow the very rich to come and ‘slum it’ in a fashionable district, Montmartre. The extravagant setting – the garden was adorned with a gigantic elephant – allowed people from all walks of life to mix. Workers, residents of the Place Blanche, artists, the middle classes, businessmen, elegant women, and foreigners passing through Paris rubbed shoulders. Nicknamed “The First Palace of Women” by Oller and Zidler, the cabaret quickly became a great success. A place loved by artists, including Toulouse-Lautrec whose posters and paintings secured rapid and international fame for the Moulin Rouge. Up Next: Yes, this is the “sign” you’ve been looking for!